Kevin Trudeau Update: On Friday morning a federal judge held infomercial pitchman Kevin Trudeau in contempt of court for refusing to pay a previous $37 million judgment. To the disappointment of many, the judge refused to throw Trudeau into jail. Instead Kevin has been ordered to put all of his assets, including the companies he says he doesn’t own, into receivership in order to pay off his victims. 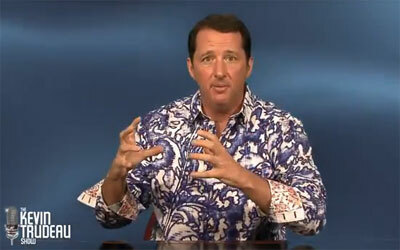 Ahhh good old Kevin Trudeau. How I’ve missed his antics. I really have to say he’s a constant source of entertainment & material. Kevin, turn that shirt down, we can’t hear you over how loud it is! I will refrain from making the obvious “Teflon-Don” analogy.